Make your first impression unforgettable when you're dressed to impress with Etro™ and the Multi Floral Print Shirt. Full front button-up placket closure. Colorful floral print featured throughout. Product measurements were taken using size 50 (US Men's 40). Please note that measurements may vary by size. 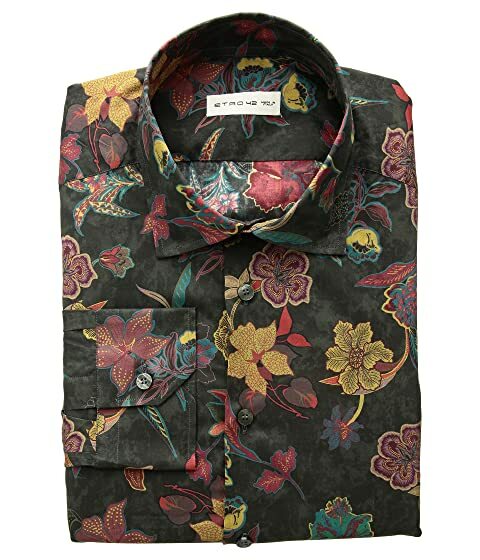 We can't currently find any similar items for the Multi Floral Print Shirt by Etro. Sorry!